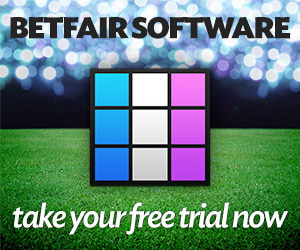 Free Horse Racing Tips and Trends: Sat 13th April 2019 - Exchange Trading, Sports Tips And Crypto. Did you know? – ALL of the last 16 Scottish National winners ran within the last 57 days, while 14 of the last 16 were aged 8 or older!! That’s not all – the ITV cameras are also at Newbury racecourse as the new flat turf season ramps up another notch with their Greenham Meeting – we’ve four races for flat fans from the Berkshire track, and, like always, we’ve got ALL this Saturday’s LIVE races covered from a trends and stats angle – fingers crossed they will point you in the direction of a few winners and help pay for the Saturday takeaway. So, as always, we’ve got it all covered here at JUICESTORM with all the key trends, plus our verdict, on each of the LIVE ITV races – we’re confident these trends will point you in the direction of a few winners, or at least help narrow down some of the field to highlight the horses that fit the best profile of past winners – So, let’s get going! JUICESTORM VERDICT: The likes of Marmelo, Laraaib, Mootasadir and the proven course and distance winner – Communique – are certainly in with a shout, but the ratings suggest they’ve all a bit to find with YOUNG RASCAL and last year’s winner of this race Defoe. The former shot to fame after winning the Chester Vase last season and went onto run seventh in the Epsom Derby. He’s since won twice here at Newbury in this Group Three grade and with another winter on his back should be a stronger horse – the Haggas camp also took this prize in 2012. He’s actually unbeaten (from three runs) at the Berkshire track so despite having to give 3lbs away to Defoe that excellent track form just gives him the edge. Yes, Defoe is obviously a CD winner here too, after winning this last season, but this year’s renewal looks stronger. He’s since run well in better races so this return to Group Three level will be right up his street and he looks sure to go well too with the Roger Varian yard in good order at the moment. Of the rest, the Hughie Morrison-trained Marmelo can do best of the others. He was last seen running a blinder in the Melbourne Cup over 2m, so even though this drop in trip will probably find him out in terms of pace with some of the others, he should also be staying on well at the finish so can’t be ruled out hitting the frame. JUICESTORM VERDICT: With 12 of the last 16 winners drawn five or higher then this means So Perfect, who is well fancied from the Aidan O’Brien yard, Yourtimeisnow, Roxy Art, Queen Jo Jo and Modern Millie have this stat to overcome. DANCING VEGA has been well-touted for the race and certainly caught the eye on her only start, when winning well at Doncaster. She’s clearly held in high regards with some fancy Group One entries, including the 1,000 Guineas and Epsom Oaks. She looks sure to go well and the Beckett yard love to target race too, with successes in 2010, 2012 and 2015. Dandhu and the Gosden/Dettori runner – Muchly – are others that have shown a good level of form to suggest they can go well. However, the other that can go well is Star Terms. The Hannon yard have a fair record in this race too, with wins in 2013 and 2016, while this 3 year-old is a proven CD winner here. She was a close third in a Group One in France last October and prior to that second in the Group Two May Hill Stakes at Doncaster. This drop in grade will help, but if there is one niggle it’s that she needed a few runs last season to hit top gear. JUICESTORM VERDICT: With the Richard Hannon yard having won a massive 5 of the last 16 runnings of this race then it’s hard to get away from their BOITRON here. This course and distance winner was last seen running an excellent fourth in the Group One Prix Jean-Luc last October and with this race being a Group Three then the drop in grade will be a plus. He’s since had a wind-op over the winter too so even though that could be looked at both ways, there is every chance that’s improved him further. He’s also back to 7f here and is currently 2-from-2 over this trip. It will be a shock if he’s not involved. Of the rest, Mohaather is another CD winner that looks to hold a big chance for the Marcus Tregoning yard, while if pure ratings are anything to go on then the Kevin Ryan runner – Hello Youmzain – is the one to beat. He’s rated 114, which is 4lbs clear of his nearest rival – Great Scott. It’s also worth pointing out the Hannon yard, that – don’t forget – do so well in this race, also have the unbeaten Urban Icon in the contest, plus He’Zanarab. They’ve both a bit to find at the ratings but connections must feel they are worth a crack at this level. With the stable’s form in the race, it wouldn’t be a shock if they ran well at nice prices too. JUICESTORM VERDICT: With 14 of the last 16 winners aged 4 or 5 years-old, this is a good place to start. Of the 27 runners, this rules out seven. 13 of the last 16 runners were also rated between 85 and 98 – 18 of the 27 fit the bill on this score. Trainer Richard Fahey has three wins to his name in the last 10 years, so his BORODIN (e/w) is the first one for the shortlist. This 4 year-old gets in off the same mark as when running a close third at Ayr last September and has form on a wide variety of different ground types. Draw 2 is a slight worry as 13 of the last 16 winners came from a double-figure draw, but he gets in with just 8-10 in weight and is hard to ignore with the yard’s top record in the race. Fahey also runs – Third Time Lucky – who was sixth in the race last year, but is also only a pound lower this time. South Seas is well-handicapped on old form, but needs to bounce back, while last year’s neck runner-up HUMBERT (e/w) might be worth taking a chance on at a nice price. He’s only 2lbs higher but will be fitter than most after a recent run at Donny. Since last year, he’s changed stables and is now with the David O’Meara camp, who often do well in these big-field handicaps. Ripp Orf rarely runs a bad race in races of this nature too, but doesn’t look the best value in the betting. Ibraz ticks a lot of the main trends and looks a horse that should have more to come, while CD winners Exec Chef and Red Starlight are others that are sure to be popular. JUICESTORM VERDICT: The 11 year-old, Duke Of Navan, won this race in 2015 and bids to follow-up four years later. He’s certainly no back number after some good runs this season, but it’s worth pointing out he’s 5lbs higher than when winning this race with younger legs. Azzuri was pulled out of it’s race at Aintree last weekend but the good ground and light weight make him very interesting too. He’s a CD winner at the track as well and is having his first run back from a wind-op. Paul Nicholls has Magic Spirit in the race but he needs to bounce back from a recent below-par run when sent off favourite for the Grand Annual Chase at the Cheltenham Festival. The good ground will be to his liking but is still 7lbs higher than his last win. Theinval enters the mix too after taking this race last year. This Nicky Henderson runner is only 2lbs higher and would have had this race as a target all season – he’s hard to rule out, especially as the yard have won the last two renewals of this race. However, he’s been running badly this season so is another that needs to bounce back. So, it might be worth taking a chance on the Colin Tizzard-trained LILLINGTON (e/w). This 7 year-old has won his last two in decent fashion and is only 5lbs higher than his last win. He’s actually won his last two and looks a horse on the up. With 11 of the last 16 winners having carried 10-12 or less then he ticks that weight trend with only 10-3. The Gordon Elliott-trained Veinard and the hat-trick seeking Monsieur Co are others to consider. JUICESTORM VERDICT: Kilfilum Cross ran a blinder in the Kim Muir at the Cheltenham Festival, but this 8 year-old is up another 3lbs her and with 10 of the last 11 runners aged 6 or 7 years-old then this Henry Oliver-trained runner has this stat against him. Molly The Dolly has been freshened up with a 115 day break and can go well for the Skelton yard, while the Alan King-trained Azzerti looks worth a crack over this 3m trip after getting outpaced in the Plate at the Cheltenham Festival over 2m4f. But the call here is for the Kim Bailey runner – DANDY DAN – to continue his winning ways. This 6 year-old has won his last three in decent fashion and in the process risen up ranks. He’s only had 5 chase runs so should have more to come and this is his first try in a handicap. Yes, his jumping hasn’t always been the best but he’s still learning and is a proven CD winner here. He won with a bit in-hand last time to suggest he’s worth a crack in this better race. The other one of interest is the Paul Nicholls runner – IBIS DU RHEU (e/w). This 8 year-old clearly didn’t stay over 3m5f last time at Warwick but did well over this 3m trip on the two runs prior to that. He’s dropped 4lbs from that last run, but the return to a more suitable trip is the main reason he’s of interest. JUICESTORM VERDICT: Nicky Henderson clearly means business here – the Seven Barrows yard is mob-handed with Verdana Blue, Brain Power & Mister Fisher running for him and all three look to have a chance. Don’t forget, this race is actually a handicap though so the highly-rated Henderson trio do have to give a fair amount of weight away to some fair sorts. 14 of the last 16 winners also carried 10-13 or less in weight so with that in mind the top six on the card may struggle. 13 of the last 16 winners were also aged 7 or younger, so with that in mind the Paul Nicholls runner – MALAYA (e/w) – catches the eye. This 5 year-old was a good winner at Sandown last time out and despite being 6lbs higher looks on the up again. He’s been placed in the top two 9 times from 13 runs over hurdles and acts on most ground. Connections have also bypassed the big Festivals to keep his fresh for this and that can hopefully pay-off. Nube Negra, who is from the Dan Skelton yard that won this in 2016, is another that is sure to be popular and he ticks most of the main trends, but as a result also doesn’t look great value in the market. Alan King has Redicean, who has been popular in the market all week, but his DINO VELVET (e/w) looks the better value. This 6 year-old is a proven CD winner and only has 10-4 to carry here. He’s in the form of his life too with wins at Market Rasen and Stratford, plus is a horse that thrives on this good ground. Yes, jockey Wayne Hutchinson has opted for the other King runner – Redicean – but Paddy Brennan is an decent booking for Dino and these pilots don’t always get it right! JUICESTORM VERDICT: Vindication was a fine fifth in the JLT Novices Chase at the Cheltenham Festival last month and will find this a lot easier, but despite being the top-rated in the field he doesn’t look great value to me. Secret Investor bounced back to winning ways last time and gets a handy 5lbs from Vindication too so must enter the mix being from the powerful Paul Nicholls yard, but another horse that gets 5lbs is BALLYWOOD. This Alan King runner was a nice winner at Ludlow last time and that was made even better as the jockey also lost his whip in the closing stages. Prior to that he ran the useful Dynamite Dollars to around 3 lengths at Doncaster back in January – form that looks rock-solid. JUICESTORM VERDICT: Plenty of key trends here – most notably 14 of the last 16 winners aged 8 or older. This actually knocks out the 7 year-old Dingo Dollar, who has been well supported in the build-up to this race all week. All of the last 16 winners also had run in the last 57 days but only Doing Fine, Cloth Cap and Cogry fall down on this. 12 of the last 16 carried 10-9 or less in weight though – so the top five on the card – Beware the Bear, Sizing Codelco, Vintage Clouds, who fell at the first in the Aintree Grand National last Saturday, Blue Flight and Dingo Dollar have this trend to overcome. The Irish raider – CROSSHUE BOY (e/w) – who won on this card last season looks interesting though. He is only 6lbs higher than when winning at the fixture last term, but in terms of weight only has 10-8 to carry here. A recent third at Wexford would have him spot-on for this and it’s interesting he makes the trip over again. Course winner – Big River – is another that ticks a lot of the boxes, as does the hat-trick seeking Chidswell. However, CROSSPARK (e/w) is the other runner that I’m going to side with. This 9 year-old was third in the Classic Chase at Warwick in January but built on that to win the Eider Chase at Newcastle last time out. Staying is not an issue and even though he’s rated 7lbs higher here, he’s still only got 10-8 in actual weight – he won the Eider Chase with 10-13. Harry Skelton is back riding and his record on the horse is very good 1-3-6-1-2-UR-1-1-3. Finally, of the rest, the consistent Geronimo, who is also a course winner, and Impulsive Star are others that can go well.